One of the highlights of summer in my house is the Little League World Series. My boys love watching kids their age play one of the sports they love. They especially enjoy the introduction of each player. In front of a national TV audience, the young baseball players have a chance to state their name and their favorite player. I was amazed at how many kids stated Derek Jeter (who retired at the end of last season) as their baseball hero. I am not a huge Yankees fan, however I can respect the legacy of success and hard work that Jeter is leaving behind. During one of the commercial breaks, my youngest son asked me, “How did they find someone to take his place?” In a simple way I attempted to explain the MLB’s farm system. I shared how teams use the minor leagues to develop talent and produce a new crop of young players. My oldest son, more savvy to sports, then mentioned how teams also “buy” talent through free agency. This is also true. Some teams, instead of developing their own talent, pay big money and sign a free agent from another team. What about you….do you have a minor league leadership development system or do you depend on free agency? · Are there stars on my team nearing the end of their service? · Who are the rising stars on my team? · Do I have an intentional, programmed leadership development plan for my team? · If one of my team members were absent for an extended period of time (similar to the D.L. in sports) have I identified talent to fill the hole or would I need to go the free agency route and hire someone new? Remember…free agency is not necessarily bad. If you develop the talent on your team well, another organization may come calling for one of your team members. When they do, you’ll ensure that person is supported and equipped to go. You’ll then go to your bull pen and call up your next rising star! 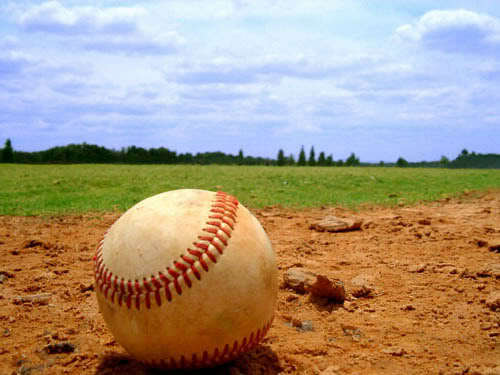 This entry was posted in Leadership, Misc and tagged baseball, leadership, leadership development.